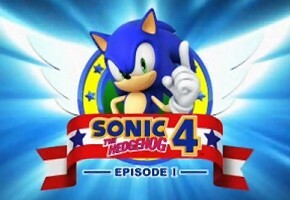 This week, you’ve heard a lot of statements from Sega brass on why exactly Sonic 4: Episode 1 was delayed. Some of those remarks pointed to an ideal, and some of them were quite defensive. All of them though, no matter how you interpret it, may have stemmed from something else. According to Sega of America’s marketing VP Sean Ratcliffe, less than great results from focus group testing earlier this year merited the delay. “We weren’t ready, in any shape or form, to reveal what was in the game,” Ratcliffe said when he spoke to TSSZ News on the record via phone earlier this Summer. At the time, we asked Ratcliffe if the PartnerNET leak from Springtime had anything to do with the delay. He flatly denied it, adding that, at that point, efforts were still underway to locate the person who “illegally took that content,” in Ratcliffe’s words. “It shouldn’t have been out there in the public domain,” Ratcliffe explained. And no wonder–when those focus group results came back, they likely served as the ball that rolled in suggestions for change and improvement. As Iizuka stated, all versions at one point had the same stages and “mechanics.” How those mechanics were executed differed, as was seen in the PartnerNET leak of the XBOX360 edition–when accelerometer control in the iPhone was mimicked by tapping side buttons on the 360’s controller. Those tests may have reflected a lack of confidence in such execution, forcing the change in level design for both Lost Labyrinth Act 2 and, we believe, Casino Street Act 2. Webber’s statements were more grounded, more numerous, and more direct, but those directives too had to come from somewhere. It’s not clear whether Sega would have pushed forward with the intended Summer release of Sonic 4 had those tests come back more positive. But since the delay was taken, Ratcliffe has confidence it will be for the better. “We have taken the additional time; let’s make sure the game is as good as it can be,” Ratcliffe said.